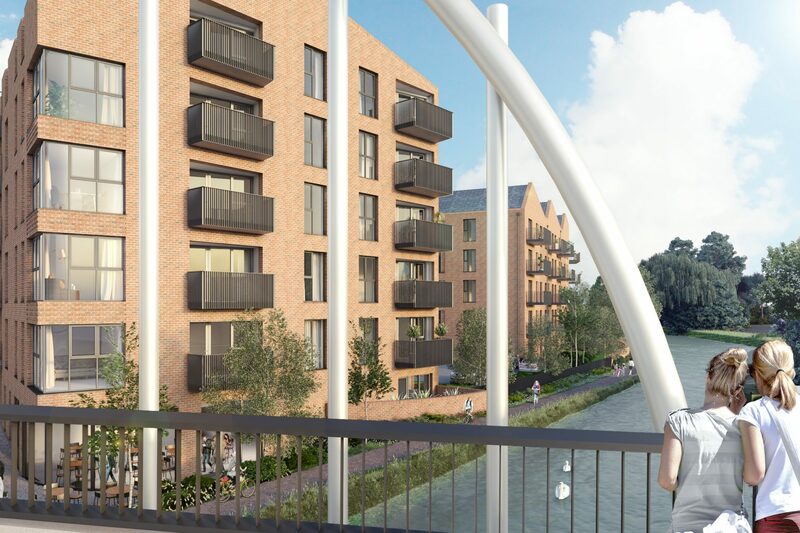 Located along the Grand Union Canal, Horton Wharf is a development which draws inspiration from traditional canal side buildings. The scheme delivers a series of high-quality one- and two-bedroom apartments and a townhouse, which together create a characteristic focal point for the high street. 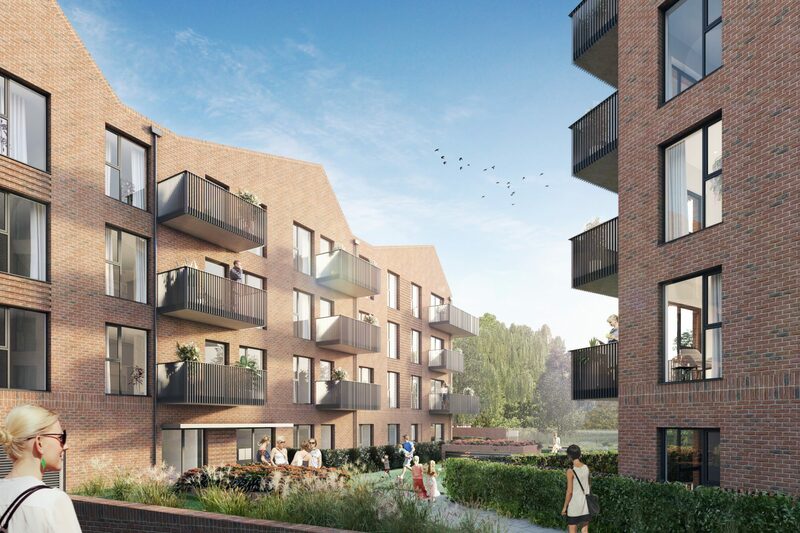 Considering the wider context along the canal, the scheme reflects the form of traditional canal side buildings, with a saw tooth roof scape, industrial balcony railing and robust brick detailing. 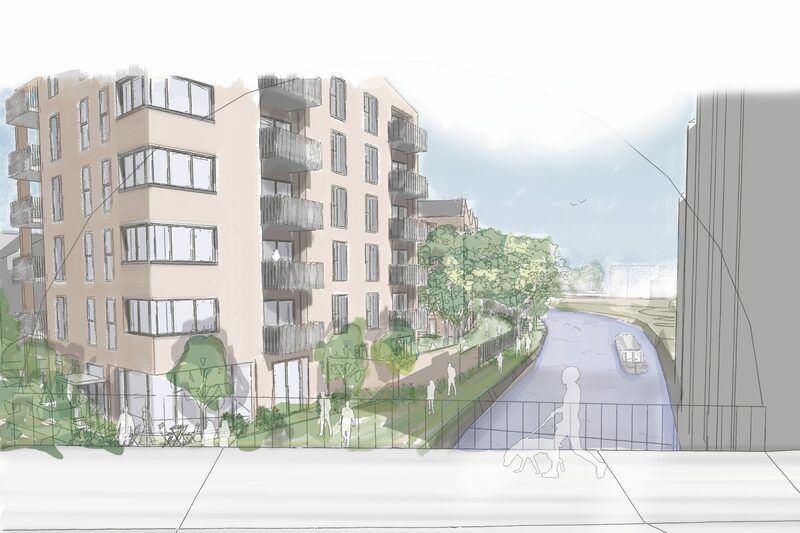 The building footprints are chamfered to respond to the bend in the canal and maximize amenity areas across the site. 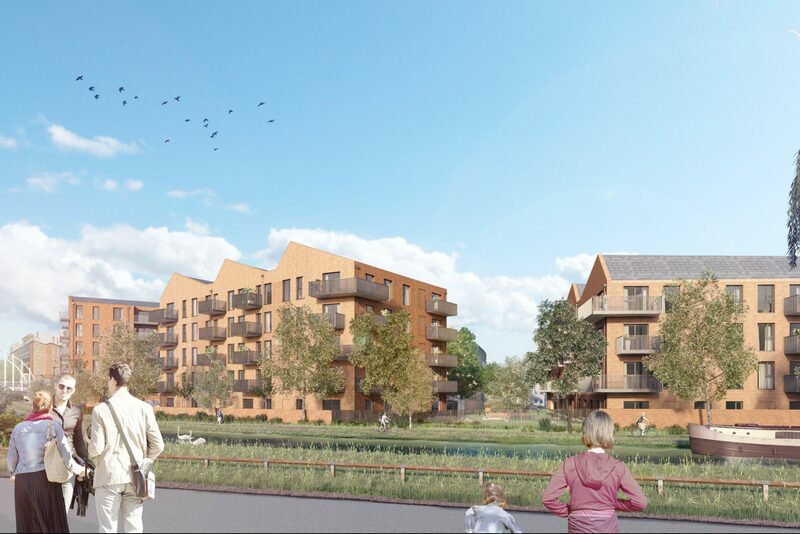 The apartment blocks are orientated around dedicated character areas to create visual breaks along the canal. A café space is strategically placed on the canal access point to enhance the canal frontage and public realm. Basement parking allows for the high level of car-ownership, while giving pedestrians priority and maximising communal amenity space.